Glasgow Rangers FC is an institution in itself given the history and lineage of the club. Yes I am looking at acquiring a stake in this Scottish institution, as I think the club is seriously undervalued. The Glasgow Rangers have a fabulous fan base, a solid home and heritage that dates back over 100 years all of which make for great long term value. I have thus initiated talks with a couple of shareholders to understand the situation onground and am keen that these discussions lead to fruition. Having said that, these discussions are still at a very preliminary stage. These words by former U.S. President Abraham Lincoln come to mind as I mull over the events of today. It is what I have done all throughout, right from when the IPL spot-fixing saga first tarnished our beloved sport of cricket nearly two years ago to its conclusion reached today afternoon following the verdict by the Honourable Supreme Court of India. During all of that time I have patiently stood firm, as Lincoln said, and today I stand vindicated. Vindication is the over-riding emotion I feel in the immediate aftermath of the Supreme Court’s landmark judgment, vindication that everything I have been saying all this while has now been upheld by the highest judicial forum in the land – the corruption in the IPL, N. Srinivasan’s lies as he clung on to power even as the ground beneath his feet was shrinking, all of it has been laid bare. I would like to take this opportunity to thank the judiciary, the Honourable Supreme Court bench comprising justices T S Thakur and F M I Kalifulla for their diligent efforts in unraveling the truth. I thank the Honourable Supreme Court for removing the cobwebs that has allowed the truth to finally shine through. Justice has prevailed today. The Honourable Supreme Court’s verdict handed down is a seminal one for Indian and world cricket and contains some noteworthy points. For starters, Gurunath Meiyappan and Raj Kundra have been found guilty of being involved in betting. An independent three-member panel has been set up to decide on their quantum of punishment and the future of the Chennai Super Kings and the Rajasthan Royal, the respective franchises they are associated with. One can only hope the course of justice embarked on today is brought to a logical conclusion by the newly-established committee comprising of former Judges RM Lodha, Ashok Bhan, and RV Ravindran. But in what is truly a watershed moment for Indian cricket, the Honourable Supreme Court struck down the amendments to Rule 6.2.4 and barred N. Srinivasan from contesting elections. As the Supreme Court observed in today’s judgment – A game is a game only if it is pristine and free from any sporting fraud. I knew all along that Rule 6.2.4 was unsustainable and illegal and it is exactly what allowed conflicts of interest like N.Srinivasan’s to flourish. The Supreme Court’s decision to disallow any administrator from having any commercial interest in cricket is bang on and at last we are now free of Srinivasan’s influence. The Court has also ruled that BCCI elections must be held within six weeks of today’s order and here we have our chance to clean up Indian cricket. Today’s judgment marks a step in the right direction but a lot still needs to be done. Srinivasan’s influence reached deep into the BCCI and it’s now time to weed his cronies out. 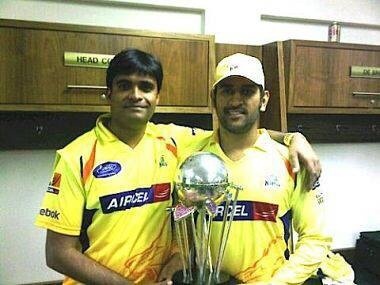 Especially IPL COO Sundar Raman who is the man who runs the show for the exiled Srinivasan. The Honourable Supreme Court has rightly initiated further investigation and probe into the activities and conduct of Sundar. The ICC should also take note of the today’s judgment and take a stand against Srinivasan. Its own Code of Ethics states that, “a Director shall be in breach … if a member of his immediate family has a controlling interest in a betting business, a substantial relationship with a betting business or is employed in the day to day operational control of a betting business,” which Srinivasan clearly is. It is said that power corrupts, but actually power attracts the corruptible. The prestige of our great game of cricket is at stake and one can only hope that the body tasked with upholding its integrity puts the interest of the sport first.